Ideal for birding watching, camping,hunting,opera,concert,sports,sightseeing,business visit and so on. 1.Close the right eye and view an object with the left eye. 2.Keep an eye on the binoculars and turn the center focus wheel at the same time until you see a strong, clear object. 3.Close the right eye and open the left eye, turn the right eyepiece until the object is sharp and clear. 4.The eyes are now at the point and it is important to use only the Focus Central wheel to concentrate on the object. If you don’t seem to be satisfied with it. Contact us, 100% refund, no risk. 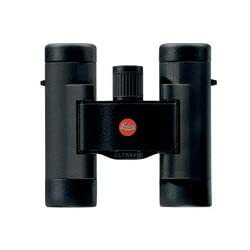 ★Compact Binoculars: Made of ABS and metal, centre-focus knob guarantee fast and high precision focusing, focus system holds your subject in sharp focus,easy and convenient to use.It is going to take you to into a clear and bright world in which you’ll be able to appreciate incredible landscape. ★Comfortable Touch-feel and Durable Construction: Non-slip rubber armor and Soft Texture Grip absorbs shock and provides a firm grip. With long eye relief, you’ll be able to view clearly and comfortably,also waterproof,perfect for sports,wildlife,trip or out of doors activities. ★Powerful Applicationand User-friendly: Binoculars with high light transmission, you’ll be able to see clear image under low light, ideal for enjoying opera, concert, night scene. It also is a good choice for giving gifts to friends.Limited lifetime warranty.